Jennifer Durrant is a photographer whose art looks into the hearts of San Franciscans. A recent work, "The Love Project," features a range of locals from 24th and Mission to the Marina and Financial District. Each was asked, "Who do you love?" The responses, Jennifer says, were unpredictable. A homeless man told her he was in love with the woman who slept next to him, though he didn't know her name. It had been a while since he'd seen the woman whose return he awaited. 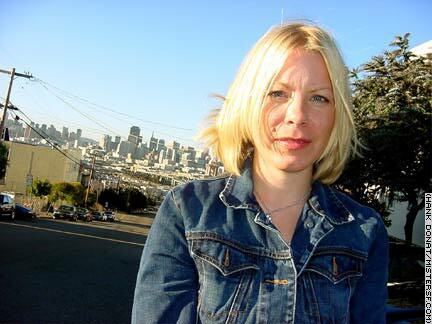 An earlier project, "Who are We," features profiles of Potrero Hill residents. Visit "Who are We" online for a series of personality pages that celebrate San Franciscans including a pastor, a student, a grandmother, and a former mayor. Collectively, "Who are We" is a portrait of a neighborhood.